Jenn for the win! Finally, I am finished with creating or refashioning 26 skirts. Granted, not all creations and refashions were a success and I will revisit those failures at a later time. After accepting a part time job at a local retail store, I needed to add some red shirts and khaki pants or skirts to my wardrobe (care to guess where I work) because oddly enough, I only own one pair of khaki pants. 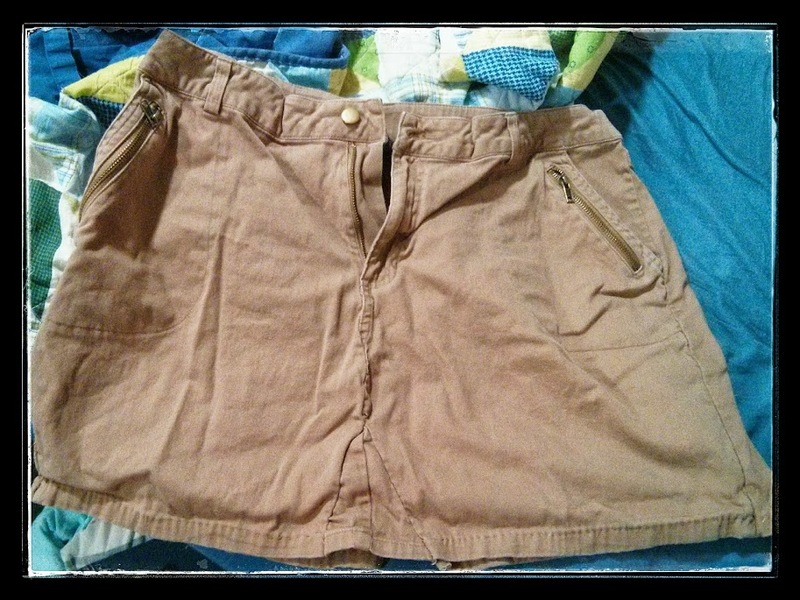 THE UGLY KHAKI-ISH CAPRIS JUST BEGGING TO BE TURNED INTO A PRETTY SKIRT. I found a couple of khaki pants that weren’t my size at all, but I was more interested in the clearance price not the numbers on the size label. 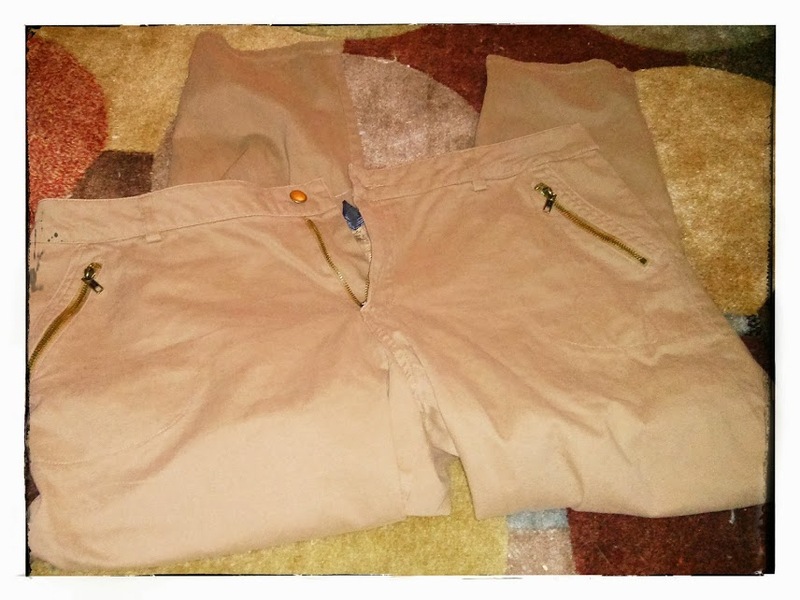 With the khaki capris, I knew I could easily refashion it into a new skirt for work. I took out the inside seams of the capris — easy enough — and then I turned the project into a complicated mess because that’s what I do. I take something simple and then throw in some obstacles. THE SLIT IN THE BACK OF THE SKIRT. 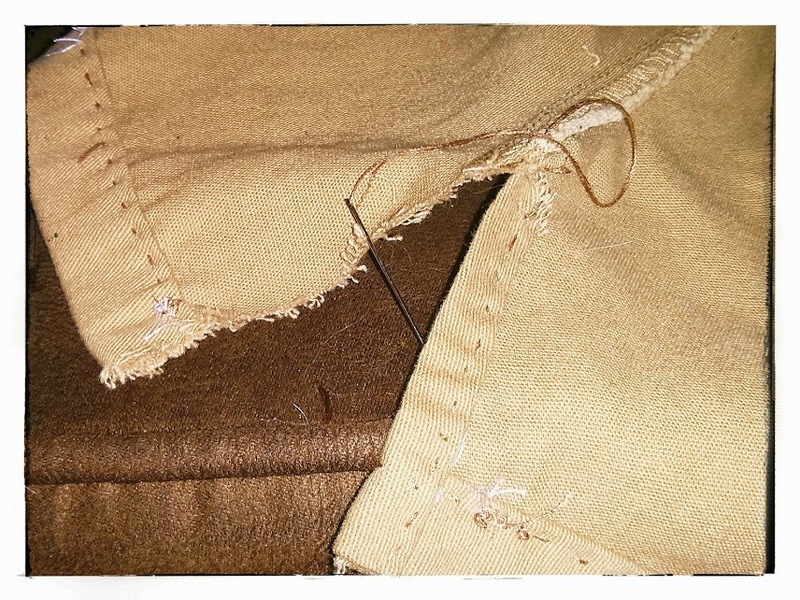 From talking with other refashioners and reviewing other pants-to-skirt tutorials, I thought I needed a triangle piece to insert in the front panel of the skirt. I didn’t worry about the back panel because I simply sewed a small slit. Maybe I should try the work-in-progress skirt before attaching a bigger-than-needed triangle piece. Maybe I shouldn’t guess or cross my fingers, hoping for the best. ONE OF THE MANY ADJUSTMENTS TO THE WAISTBAND SINCE THE ORIGINAL WAIST WAS TOO BIG FOR ME. Anyway, I added a bigger-than-needed triangle piece in the front panel, making the skirt look ridiculous. Sometimes I really should look both ways before jumping in with both feet. I took out the triangle piece and made it considerably smaller. I reattached the triangle piece, and the skirt looked much much better. Now, I needed to fiddle with the waistband that was too big for me. Again, I kind of knew what to do after reviewing other tutorials. 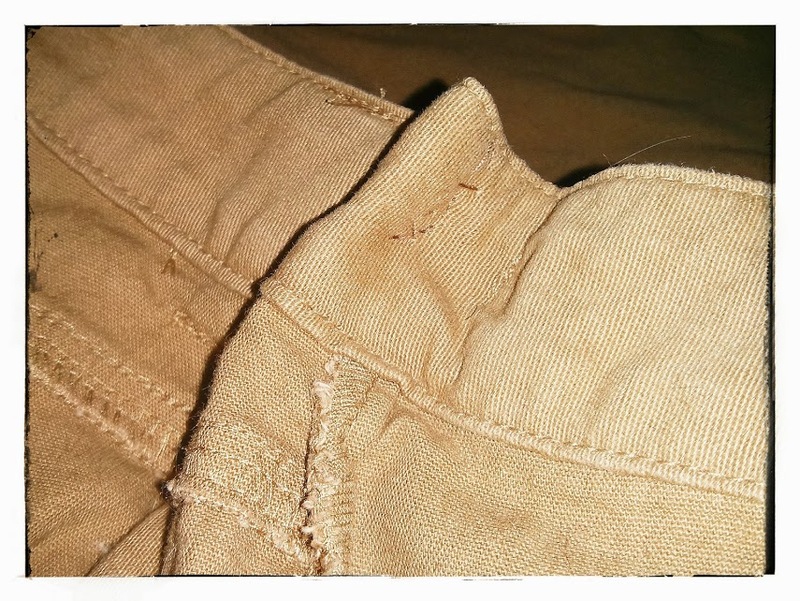 I pinched together the waistband in two different places, sewing the pinched area in place. The waistband was still big after sewing two small pinches so I pinched together a bigger area, making the skirt fit a teeny bit better. When I have more time, I’ll probably add one more big pinch to the waistband, but for now, the skirt is ready for work! Cute skirt! Don’t you love finding bargains? Nice job. I love turning short into skirts too because I usually don’t need to hem. When will you post pictures of you wearing these pretty skirts?